Rediff.com » Business » Will selecting a single GDS platform benefit Air India? Will selecting a single GDS platform benefit Air India? A decision by Air India to shift exclusively to a single Global Distribution Service platform, was opposed by its previous chairman and managing director Rajiv Bansal and commercial director Pankaj Srivastava. The opposition came on the ground that the shifting to a single platform may curtail the airline’s market reach leading to loss of booking. However, in response to Business Standard queries, the current airline management said that the bid was done through a proper process and the decision will save almost 60 per cent in airline’s distribution cost. “Our market study showed that out of 100 there are only four travel agents who don’t have access to Travelport. "Hence, the decision is interest of the airline - we will save cost and without forgoing revenue,” said a senior Air India official. Earlier this month, as part of cost cutting exercise, the national carrier selected Travelport as its exclusive partner for ticket distribution in India as part of its efforts to cut down costs. 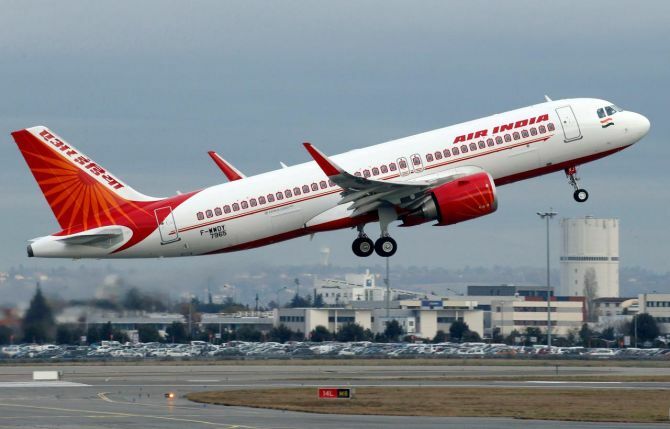 While Air India sells its tickets within India through three service providers at present, it will offer ticket inventory only on Travelport from January 2020. However, documents reviewed by Business Standard shows that when the matter was taken up for discussion last year, both the senior officials objected to it saying that such a move would diminish market share of Air India. “The market penetration of Amadeus is around 60 percent and that of Travelport is around 30 percent. "The financial condition of the airline is delicate and we cannot afford to take substantial risk and adopt an entirely new selling proposition which is vastly different from the earlier model,” former Air India CMD Rajiv Bansal had written in a note on November 29. Similarly commercial director Srivastava objected the move saying that the assumption that all domestic booking on Air India currently made on Amadeus will not shift to Travelport. He mentioned that out of 100 travel agents who account for 91 per cent of Air India’s sales, sell through multiple GDS platforms. “To summarise we are aiming to save Rs 150 crore on account of GDS costs as proposed which is about 2.5 per cent of our estimated revenue. "Any shift or drop in airline revenue of more than 2.5 per cent nullifies the proposed saving in GDS costs. "Therefore we may continue with existing GDS system,” Srivastava wrote in a note on 27 December. The airline’s financial director Vinod Hejamadi also reiterated the same opinion in a note on August 21, 2017. “The travel agents may not take the move of the airline in right spirit which may affect our business,” he wrote. In fact, Travel Agents Association of India (TAAI) - a lobby group of travel agents have objected to Air India's decision to select a single GDS service provider as it will hurt their revenue. Agents earn incentives from service providers and the airline's decision will hit them hard. However, Travelport countered the argument saying that it has extensive reach in the distribution platform. Anil Parashar, President and CEO of Interglobe Technology Quotient, which distributes distributes Travelport's global reservation system products in India, said that the platform is connected with the major entities across the travel distribution platform. Parashar pointed all major online travel portals - Make My Trip, Yatra, Clear Trip, Ease My Trip. “They have almost 30 percent share of the airline booking market,” he said. Among the consolidators, Riya Travels, Akbar Travels, TBO which are the largest in the space have access to Travelport. Among the travel management companies, all the major entities like American Express, Carlson Wagonlit Travel, FCM Travel Solutions, Dnata Travel Services and BCD Travel have access to Travelport. “The question of loss of distribution for Air India is completely meaningless. "80 per cent of all ticket booking platform are with Travelport - many of them exclusively on Travelport. "We have participated in a proper tender process, submitted our proposal which Air India found efficient. Hence we were selected,” Parashar said. Unlike low-cost airlines, Air India and Jet Airways rely on GDS providers such as Amadeus, Travelport and Sabre for distribution in India and abroad for a segment fee for every booking. It shares a portion of it with travel agents, thus increasing costs for airlines. In 2017-18 IndiGo’s sales and distribution costs were Rs 781 crore; Jet Airways spent Rs 2,820 crore. Why is Harsh Mariwala getting into aquatherapy?